On a spring afternoon too many years ago, the two of us were hanging out. One of us was spending her day off tending to her apartment, while the other followed behind sharing an idea for a story. It was only after it was made clear that there wouldn’t be any listening, unless the other sister joined in the swiffering, that the ideas began rolling. As the dusting slowed, we found ourselves in our first writers’ session. It was all shits and giggles as we toyed with the premise and named characters. Alas, the fate of poor Steve. As our writing sessions progressed, we realized it wasn’t going to be all good times. (We’ll save explaining the great labor of writing a novel for another post.) We carried on and turned our back on portions of our lives, setting out to tell our story in a manner that was true to both our voices. 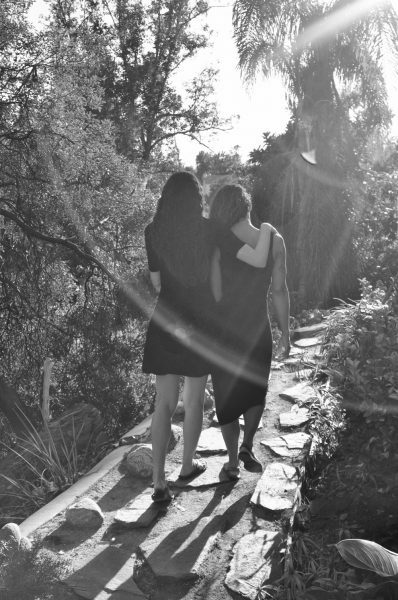 Along the way we found a common perspective via a few sisterly fights. As our worldviews came into alignment, our sense of humor became sharper and our relationship deeper. . .
How we didn’t end up in a modern version of What Ever Happened to Baby Jane?, with an unfinished novel, is beyond us. But we made it without serving each other our pets. 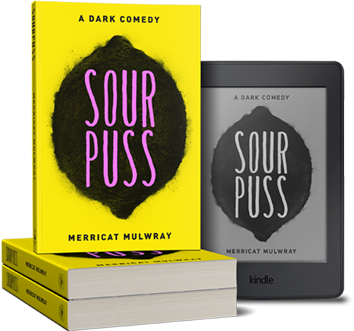 We are excited to announce the release of our novel, Sourpuss. And encourage you to stay and enjoy the rest of the things we have to share. © 2019 Copyright Merricat Mulwray. All rights reserved. Sign up for our newsletter & receive the first three chapters of Sourpuss for FREE! Available to email subscribers ONLY.